Next to Slots, Blackjack is the most widely-played casino game in the world. If you’ve ever visited a casino, whether land-based or online, the card game also known as 21 usually occupies a prime position. And if you are a fan of movies, music, books, and 101 other expressions of popular culture, you’ve probably spotted that Blackjack’s star roles are not limited to collections of casino games. Let’s take a look at just some of the appearances the game has made, as well as things it has inspired. Arguably the Blackjack movie to end all of them, 21 is a 2008 film based on the true life story of the card-counting MIT Blackjack team. Filled with plot twists and turns, it follows the team from the maths department to Vegas. The 1988 box office smash Rain Main, starring Dustin Hoffman and Tom ‘the sofa-jumper’ Cruise, features one of Hollywood’s most glorious Blackjack moments. The autistic main character has a photographic memory and genius math skills, and puts them to use while counting cards during games. A thrilling take on shady underworld figures with a penchant for Blackjack is the James Swain novel Sucker Bet. A central part of the plot is the winning of 80 consecutive hands by a cheating player. 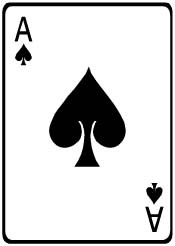 The striking image of an Ace of Spades no doubt provided some inspiration for the appearance of Osamu Tezuka’s manga character Black Jack. Introduced in November 1973, the character enjoyed a weekly print run for 10 years. Main character Kuro suffered a childhood accident that turned half of his hair white, and left him in need of a facial skin graft. His half-African best friend donated the needed skin, and Kuro’s appearance was changed forever. We don’t know what the result would have been, had Tezuka decided to call his character mobile slots Canada or something similar. References to Blackjack have even crept into the world of music. For starters, a temperament known as miracle temperament was discovered by George Secor in 1974. The temperament’s evenly-distributed scale of 21 notes is known as the Blackjack scale. New York-based Joseph Pehrson is just one of the composers to have made use of the scale. Big-voiced balladeer Michael Bolton performed under his real name (Michael Bolotin, in case you were wondering), along with Bruce Kulick, Jimmy Haslip, and Sandy Gennaro in a rock band called Blackjack from 1979-1980. Believe it or not, the band release two albums and even went on a small US tour during its mercifully short career. Rappers Jay Z and Kanye West obviously don’t mind the music, as both have sampled or re-recorded and sampled Blackjack songs. Another possible pop culture reference to the popular card game is in the name of now-defunct Aussie band Black Jack. Active in the 1980s and 1990s, the band played classic and heavy metal. As more and more players discover the timeless thrills of Blackjack, it is bound to enjoy many more appearances in popular culture. After all, some of those players just may be the next Oscar-winning film director or a best-selling author.